At one stage the top 3 in the world were all using the 2016 the M range of metal woods. 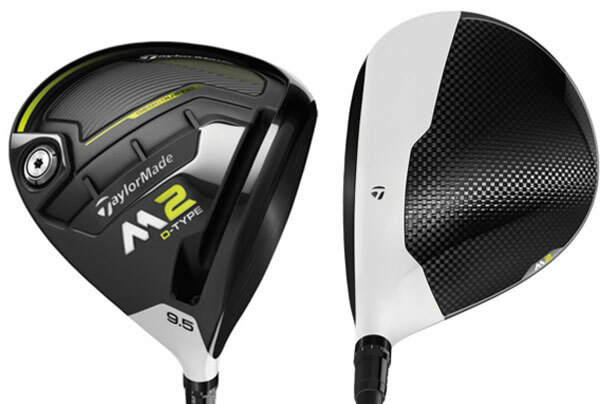 Countless tour wins and an Olympic gold the M1 and M2 were certainly some of the most well-received product of 2016. On a personal side this 9 Handicap went M1 – 7 Iron for my first albatross using the Tour Preferred X golf ball (Also upgraded in 2017). There is certainly something special for everyone in the M range. Pushing 15 months and not to mention Tiger on board, we are more than excited to see the next generation of distance and more forgiveness. With stats like these, you can see why the Driver was a huge success. 43% more Carbon than the original M1 - using an additional toe panel. Lower CG (64% more in the M1 and 94% more in the 440 model, to be precise). Enabling better launch conditions and personalisation. Expanded T-Track System for better personalisation. 4° Loft Sleeve with 12 Settings. 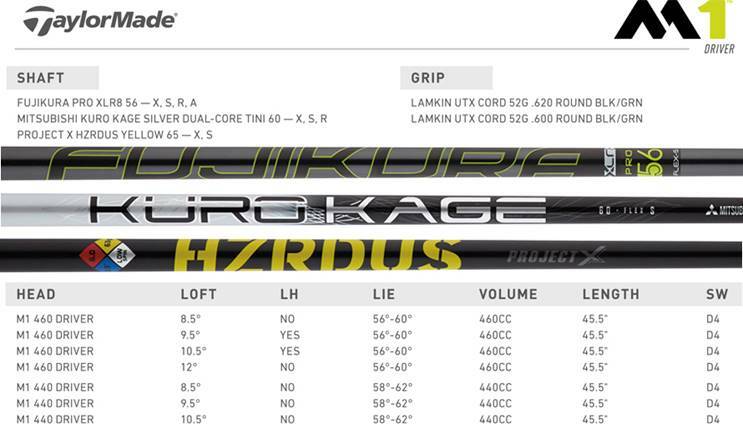 3 New Shaft Options (Fujikura Pro XLR8 56, Mitsubishi KuroKage DualCore Tini 60 and Project X Hazardous Yellow 65). Having tested the new range recently there is an improvement on all fronts. Further by 8-10 metres with a tighter shot dispersion. Yes, straighter, and longer using a similar shaft replacement the Project X Hazardous Shaft and a magnificent solid feel. Amazing just got better and I can't wait to see what this weapon does with a "non-range" ball. 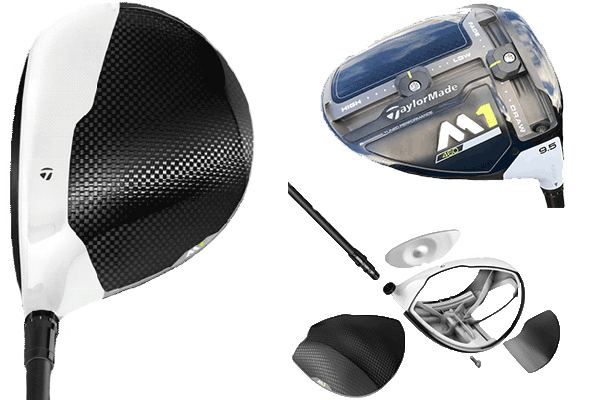 TaylorMade tutoring, M1 replaced formally what was known as the R-Series of drivers and the M2 the successful Burner range or more recently "AeroBurner". 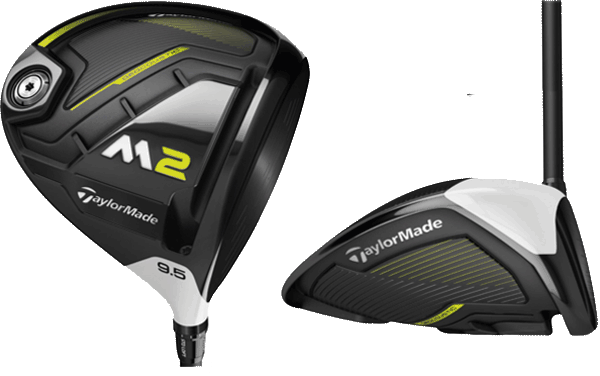 Staying true to those core values the M1 is "Distance, Forgiveness and Complete Personalisation" and the M2 "A New Level of Distance and Forgiveness". With 3 Tour wins already, Hudson Swafford, Graeme Storm and Jon Rahm the win stats are off to a very solid start. With Tiger Woods, Jason Day, Dustin Johnson, Sergio Garcia, Justin Rose complimenting the Staff team, there's many yards of excitement in 2017. GEOCOUSTIC Technology, now a trademarked word using advanced sole shaping and recessed toe panel. This panel facilitates face expansion for ultimate forgiveness. Deeper & More active Speed Pocket which is 3 times more active than the previous version. Basically, the face is just one giant sweet spot. In testing, this club face felt like one giant sweet spot, no matter where you hit it just seemed to fly with that incredible forgiveness. This is another great improvement on what already was a top performing driver. I really would stress a proper fitment for the very best results and personalise your driver. A new addition to the M family the D-Type Driver. For those of you who struggle with the cut or "exaggerated" fade, the less honest would omit that adjective. I certainly wanted to try this and see for myself. Very impressive was the consensus. The offset is not like a few other brands (where the clubhead sits way back from the hosel), the M2 D-Type sits nice and square – which is great. Highly recommended for anyone who's lost it out right. New Multi-material construction that saves weight and pushes the CG low and back. GEOCOUSTIC Technology: sole shaping with a recessed toe panel that enables face expansion for further forgiveness. Then there are external ribs that aid that great sound and feel as it comes off the face. A Deeper, more active speed pocket. 3 times more active than the original M1.